Jim and Wayne have enjoyed a 15 year friendship. Wayne played Triggs Mandolins in the early 2000's and it is a pleasure to have him playing a Triggs once again. 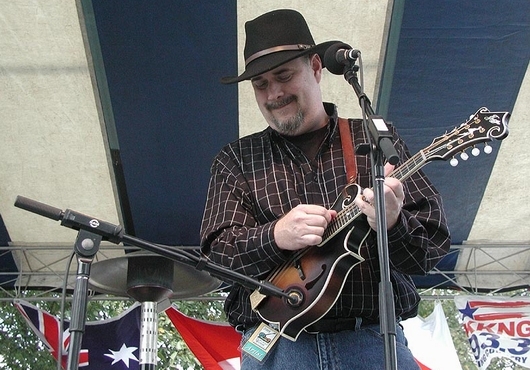 Click here to listen to Wayne playing Grey Eagle on his newest Triggs F-5 Mandolin. Be sure to catch Wayne when he's in your area with IIIrd Tyme Out. You can see their schedule here. You can see Bobby playing his Triggs Mandolin with Jerry Butler and The Blu-J's. Check out their tour schedule here. 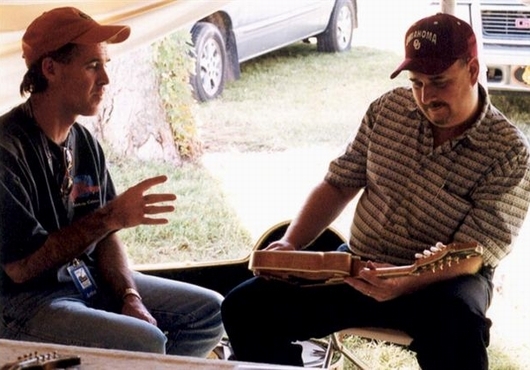 ﻿Click below to hear Bobby playing his mandolin with The Williams & Clark Expedition.